Hyperbaric oxygen therapy (HBOT) is known to increase blood flow, reduce inflammation, and accelerate the rate of healing after surgery or injury. 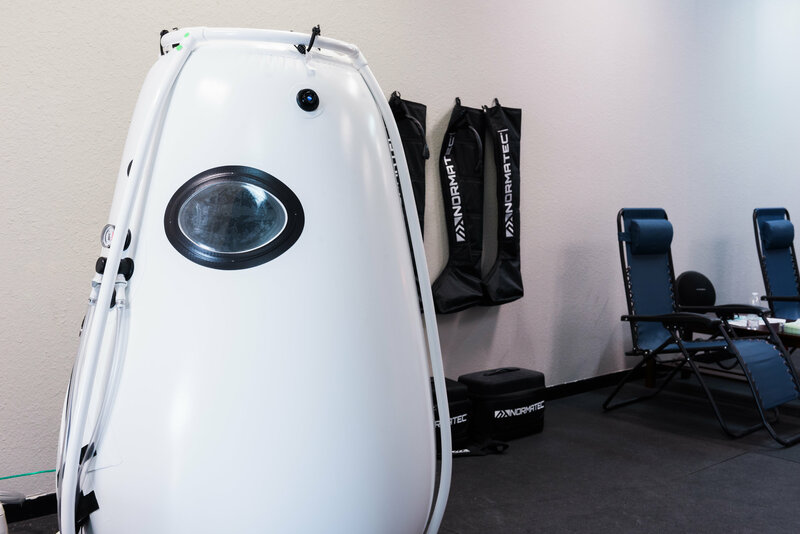 Many well-known athletes are proponents of HBOT, finding that it helps their strained, post-game muscles, ligaments and tendons recover more quickly. 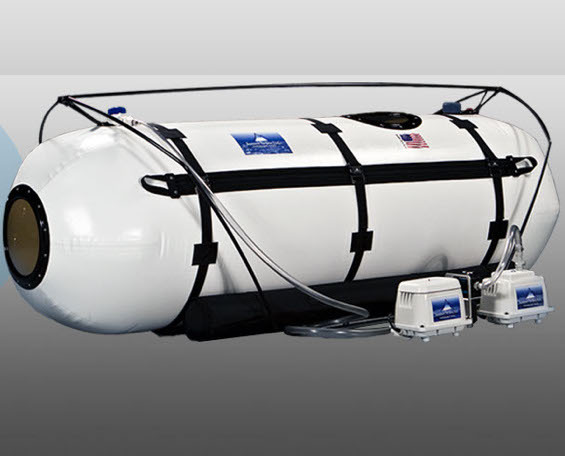 HBOT America prides itself on a clean, comfortable and relaxing environment. Many people enjoy using their time in the chamber to meditate or just get away from it all. Some people even fall asleep! 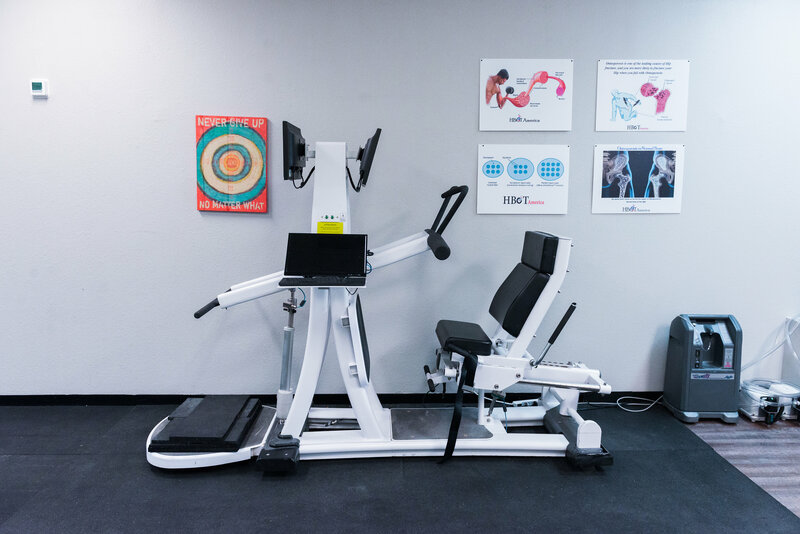 BioDensity™ is an advanced technology that uses Four isometric exercises which safely helps increase bone density by stimulating the body’s natural bone generation process. 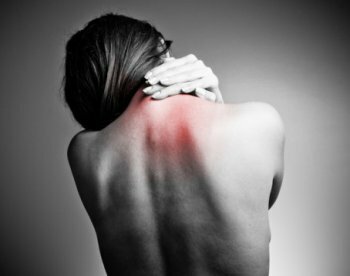 Infrared Sauna Therapy uses the technology of light and heat through infrared which penetrates the muscle and tissues deeper which helps promote cell health, anti-aging, detox, weight loss, circulation, and much more! 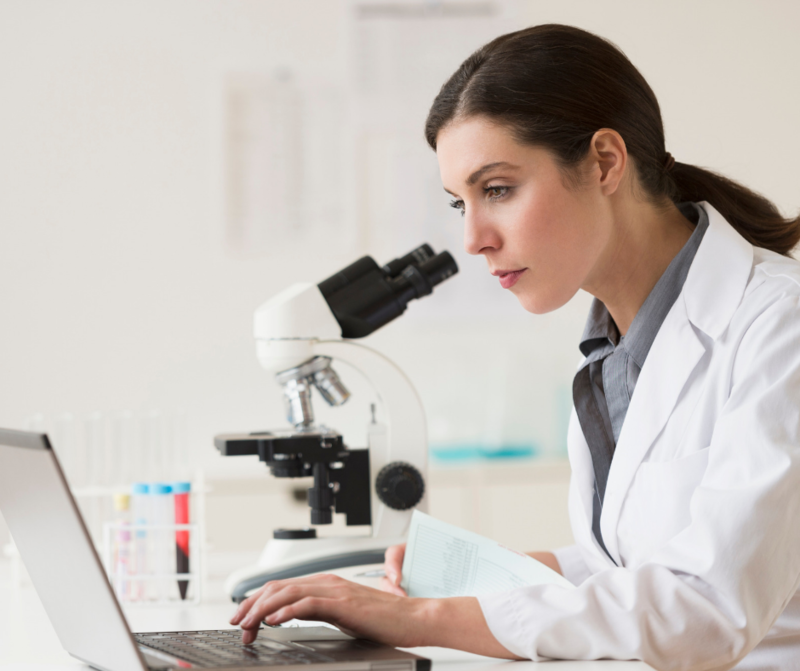 We offer many solutions to those looking to use mHBOT. Our New vertical dive chamber allows you to sit down if you have trouble laying or maybe using a wheelchair. 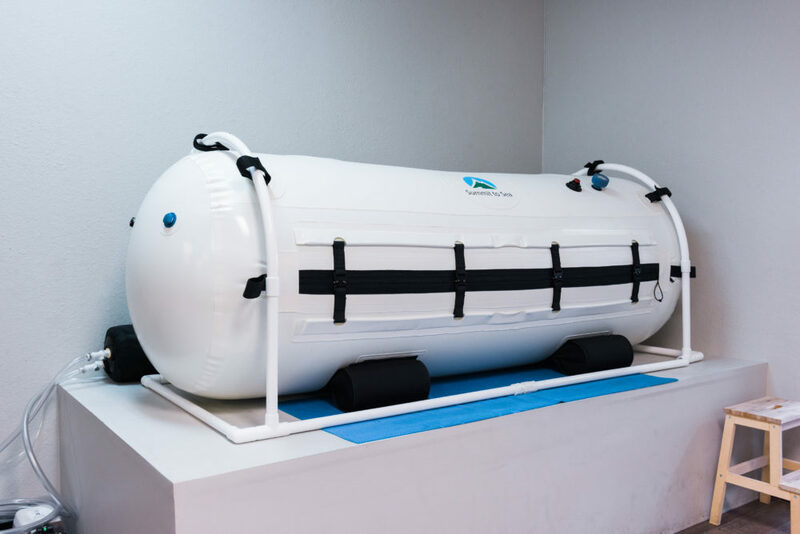 HBOT America of Houston provides hyperbaric oxygen therapy (HBOT) for a wide variety of clients, from athletes to those wishing to speed healing after surgery. 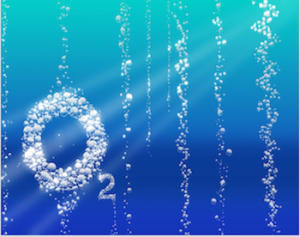 Hyperbaric oxygen therapy involves the breathing in of oxygen at a greater than normal pressure, which in turn oxygenates the blood, leading to faster healing, reduced inflammation, and increasing the amount of available oxygen to the tissues. Clients have reported improvements for a number of conditions, which you can learn more about here. If you’re new to hyperbaric oxygen therapy, we hope you’ll find our site informative. If you have any questions, please let us know! If you’d like a tour of our facility at no charge and no obligation, just click HERE or on the button below. Our trained staff will be happy to show you around and discuss how HBOT therapy may benefit you! Dr. Paul Harch, Director of Hyperbaric Medicine at LSU Health New Orleans School of Medicine, and Dr. Edward Fogarty, Chairman of Radiology at the University of North Dakota School of Medicine, report the first PET scan-documented case of improvement in brain metabolism in Alzheimer’s disease in a patient treated with hyperbaric oxygen therapy (HBOT). A 58-year-old female was suggested Alzheimer’s dementia (AD) after SPECT imaging and 18FDG PET scan confirmed which was rapidly progressive in the 8 months prior to initiation of hyperbaric oxygen therapy (HBOT). AD is characterized by deficits in memory and executive function. However,  an 8-week course of HBOT reversed the patient’s symptomatic decline. The patient received forty (40) 2.2 PSI – 1.15 atmosphere absolute/50 minutes total treatment time, once per day, 5 days per week in a total of 66 days. After 21 HBOTs the patient reported increased energy/activity level, mood, and ability to draw a correct clock face, perform activities of daily living, and work crossword puzzles. At completion of 40 HBOTs, patient reported increased memory and concentration, sleep, conversation, appetite, ability to use the computer, more good days (5/7) than bad days, resolved anxiety, and decreased disorientation and frustration. Continued HBOT in conjunction with standard pharmacotherapy maintained the patient’s symptomatic level of function over an ensuing 22 months. 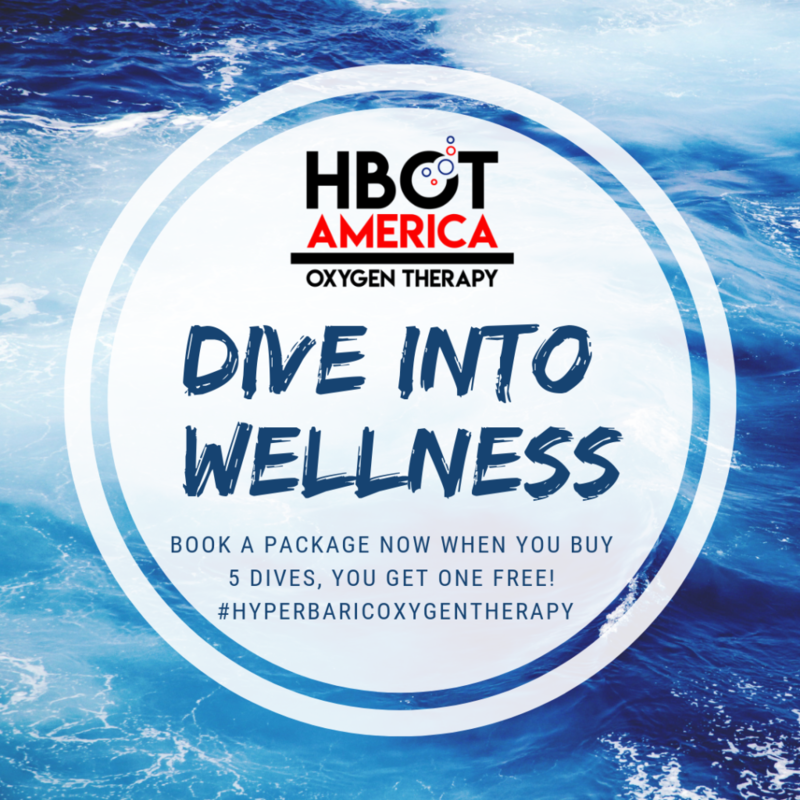 Dive into Wellness by Bringing oxygen to a WHOLE NEW LEVEL! 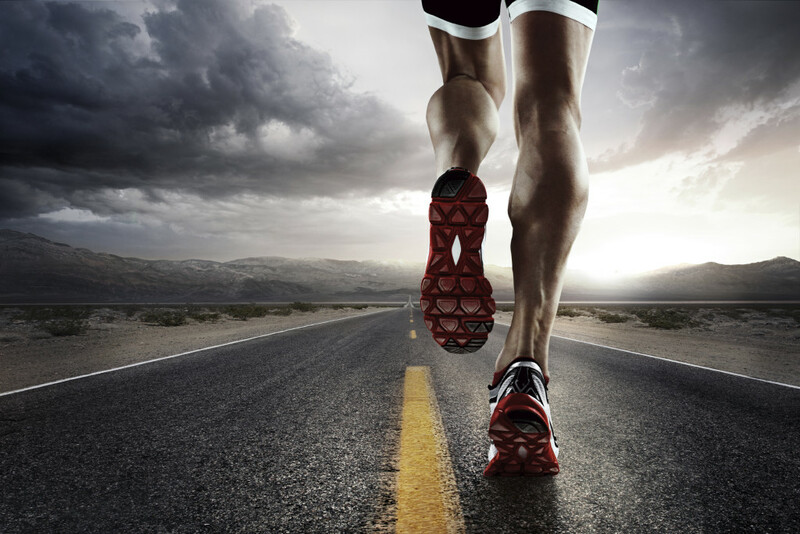 “I have done 5 sessions so far and I’ve noticed a faster increase in reduced swelling from my knee and my energy level is higher. 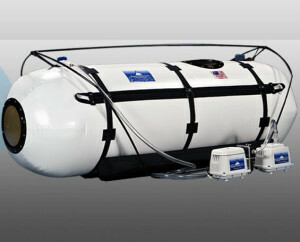 I came to HBOT America to help heal with an injury and increase blood flow with hyperbaric oxygen therapy. My body feels rested with all the stress I put on my body and joints….